Posted on November 8, 2012 November 15, 2012 by Debito Arudou Ph.D.
On Oct. 25, Tokyo Gov. Shintaro Ishihara announced his resignation from office. He now plans to stand for election to the Diet as head of a new conservative party. He suggested political alliances with other conservative reactionaries and xenophobes, including Osaka Mayor Toru Hashimoto and Tachiagare Nippon (Sunrise Party of Japan) chief Takeo Hiranuma (Just Be Cause, Feb. 2, 2010). And all before a Lower House election that must be held within two ten months. I say: Bring it on. Because it’s time for somebody to make clear which way Japan is heading. The world’s media has largely misunderstood — or misrepresented — what kind of an elected official Ishihara is, often portraying him as a “nationalist” (which sounds like a patriot). He is in fact a hate-mongering racist bigot. This is the man, remember, who began his governorship by calling for foreigners to be rounded up on sight in the event of a natural disaster — for they might (unprecedentedly) riot! Cue one natural disaster in 2011: No riots. Yet no retraction. Thus he got a free pass. This is also a man who goes beyond the standard right-wing denials of the dark side of Japanese history, such as the Nanjing Massacre and the “comfort women.” He has called the 2011 tsunami “divine retribution” for Japan’s sins, insinuated that Africans in Japan are unintelligent, said commentators on Japan “don’t matter” if they’re foreign, likened foreign judo practitioners to “beasts,” claimed Chinese are criminals due to their “ethnic DNA,” called parts of Tokyo with higher foreign populations “hotbeds of crime” too scary for even Japanese crooks to enter, and stigmatized Japanese politicians who support more rights for foreigners by saying they must have foreign roots themselves (as if Japanese with tainted bloodlines are somehow unpatriotic). He has also stated that old women are “useless” and “toxic” to civilization, gays “gadding about” are “pitiable,” French is unqualified as an international language because of its counting system — and so on ad nauseam, painting grotesque caricatures of foreigners and minorities in broad, bigoted strokes. Just listing them all would take up my entire column. Yet, instead of pillorying this piece of work out of office, the media has generally dismissed his statements as “gaffes.” But a gaffe is technically an error or an unintended misstatement — and Ishihara’s are too frequent to be anything but deliberate. Sadly, due to the limited attention span inherent in media cycles, Ishihara managed to out-stare the press. They then excused their own lack of tenacity by treating his outrageous comments like a personality quirk, as if he suffers from a particularly offensive form of Tourette’s — effectively handing him a free pass. Passes got freer after one re-election. Then another. Then another. The default theory became: Ishihara must be doing something right. Either voters actually like him, or they are just overlooking his bigoted outbursts because they have no other viable choice (or are sick of sloganeering milquetoast politicians in general). My take is simply that Ishihara chooses his targets wisely. He never goes after the majority (who might vote him out). Good at sensing the weak minority voice behind any issue, he makes himself appear powerful at their expense — especially when he targets foreigners, who can’t vote anyway. I also think people (including reporters) are generally suckers for celebrities and power-brokers, especially when they’re charismatic bullies picking on people. It’s amusing to watch people squirm — as long as you’re not the one being bashed. Bearing all this in mind, Ishihara quitting his job can only be a good thing — for two reasons. One is that the fool is giving up his self-legitimizing bully-pulpit-for-life. He’s lost the power to threaten to raid Metropolitan Tokyo’s tax coffers for bank bailouts, purchases of geopolitically sensitive ocean dots, relocation of the world’s largest fish market to a polluted empty lot, or hosting Olympic Games. He also no longer has Japan’s most centralized police force (keishichō) at his disposal — one which, as Edward Seidensticker noted, can convert Tokyo into “a police city” whenever necessary (Zeit Gist, Apr. 22, 2008). Ishihara can no longer target people he dislikes with the same degree of public authority. But the other, more important reason is because it’s time for the world to stop doling out free passes and realize just how far rightward Japan is swinging. The Japan Times has reported many times (ZGs, Oct. 4, 2002, May 4, 2005, Feb. 20, 2007, Aug. 28, 2007, May 4, 2010, etc.) 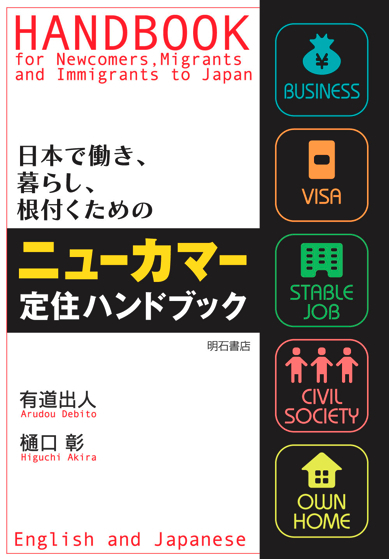 how Ishihara and his ilk have egregiously blamed outsiders for Japan’s domestic social ills (including crime, terrorism, subversive activities and a general undermining of all things “Japanese”) and gotten xenophobic public policies to match. However, these gradual developments have been largely ignored by outside observers and decision-makers. Remember, the only thing that can really shame Japan into clamping down on xenophobia and chauvinism is the feeling they’re being watched by the world — i.e., gaiatsu (outside pressure). Yet international organizations, such as the International Olympic Committee, still treat Ishihara’s proposals as if they are legitimate. Again, where are the international boycotts to protest this man’s history of hate-mongering? So, Ishihara putting his cards on the table will speak definitively about Japan’s future direction. If Ishihara gets his way (and he will win election to the Diet, comfortably) and gets, say, a Cabinet post or the prime ministership, he will legitimize a path for all the young budding Rightists (such as Hashimoto, who is half Ishihara’s age) to push their agenda of remilitarizing Japan and rekindling an ahistorical love for its fascist past. This will finally get people to sit up and realize how much of a threat postmodern Japan — a state addicted to a discourse of self-victimization while scapegoating others for its own problems — is to stability in Asia. If Ishihara doesn’t get his way (and becomes one of the many grumbling parliamentary pinheads within a fringe party, hamstrung by the omnipotent bureaucracy Ishihara himself so loathes), this will take the wind out of the sails of Japan’s Rightists — who are so desperate for attention they’ve reinstalled Shinzo Abe as leader of the opposition Liberal Democratic Party (even though he lacked the stomach for the job the last time he was prime minister). Either way, I say again: Bring it on. By abdicating his otherwise permanent job, Ishihara is making one last gamble at age 80. And he’s doing it out of the hubris and addiction to power seen in other old men (such as former Peruvian President and Ishihara crony Alberto Fujimori), who have spent too long in self-affirming sound chambers surrounded by sycophants. These megalomaniacs have convinced themselves that as part of an elite ruling class, whatever they want they will get. In Fujimori’s case, the twit gave up his extradition-proof safe haven in Japan to seek re-election back in Peru (JBC, May 5, 2009). He is now serving life in a Peruvian jail. In Ishihara’s case, a seat in the Diet may wind up being his final sequestration. It certainly ain’t no Tokyo governorship. Go for it, Ishihara! Let’s see what you’ve got in the time you have left. Show us clearly, once and for all, how Japan intends to position itself for the future — so the rest of the world can start making plans. you write “And all before a Lower House election that must be held within two months”. Why that? As the last election for the Lower House was in September 2009, the next election is due in September 2013, so 10 months from now. — Yes. Quite. Missed my editor’s glance too. Mea culpa. Sorry. In your defense, Noda is getting hammered every day to call for the election. So much so that I suspect two months is a far better bet than Sept for when that will happen. As far as I can tell, nobody on the scene expects him to be able to hold out nearly till Sept – at least NHK, JT etc. are often talking about him being pressured and they’ve been talking about it for months now. About the report you made in which you claimed that Ishihara wished for foreigners to be rounded up. As much as I hate Ishihara, while the article says “Japanese troops were told on Sunday to target foreigners to prevent looting and rioting in the event of a major earthquake” Ishihara’s actual words to Ground Self-Defense Force troops were “Atrocious crimes have been committed again and again by sangokujin and other foreigners,” and “We can expect them to riot in the event of a disastrous earthquake.” He’s still a terrible man, but while his judgement is racist his choice of words that he had given to the SDF did not directly demand the rounding up of foriegners. The media my have used the word “targeted,” but as far as what Ishihara said word-for-word, as racist as it was it still wasn’t the exact same as putting people in internment camps. I’m not trying to sound like a revisionist. I know what happened happened. I’m glad that he’s stepped down as governer. Now let’s parse what you argue　(now a second time; you paid no attention the first time). First, you tell me not to read too much into what Ishihara said, i.e., that he doesn’t actually call for a “round up” in his actual words. Oh, and you can safely say that this will be a “catch-and-release” program when it comes to “targeting” NJ (how else but on sight?) during a time of emergency, using the Japanese military? His “actual words” were, in reference to NJ, after the bit about probable rioting, were “Keisatsu dake de wa gendo ga aru. Saigai dake de wa naku chian no iji mo suikou shite moraitai.” (There is a limit to how much the police can do. I want you (SDF) not only to deal with the disaster but also to maintain the peace.) Over the next ten years, he put this principle into practice in a milder form using the Japanese police after generating a different kind of crisis regarding foreign crime. My calling this his call for round-ups of NJ is not even a leap in interpretation, considering the content of his speech, its context, and his future behavior in the driver’s seat in light of this proposal. Let’s not be naive. Yet ironically you have no problem with critiquing my arguments and adding “internment camps”, even though those weren’t my “actual words”? (We already have the daiyou kangoku system — who needs camps?) What’s with the double standard? Especially when we’re talking about somebody (with an actual record borne out in the subsequent decade of behavior you yourself just called “racist”) in a position of enormous power vs. little old me, a columnist and blogger, merely speaking truth to power? Second, when I give my evidence of proposed “targeting” (actual quotes and also interpretations by third-party media), you even doubted the veracity of the articles I archived more than ten years ago because the original media sources couldn’t be bothered to archive them themselves — as if I was somehow fabricating them. Such low standards of evidence for the likes of Ishihara, such high hurdles for me. You claim you’re not a reviser of history. Okay. You’re a troll. Bye. They need to fix the voting disparity before the next election or there will be another unconstitutional election. Without a fix we could be looking at a right wing nut as PM (for example Abe) who was not even constitutionally elected. I often ask people why the like Ishihara and I regularly hear “because he is a strong leader”. When I note that so was Hitler but I wouldn’t vote for him you get the deer in the headlights response. In the end it comes down to the people. If they don`t care there will be no change. I`m sure if millions told Ishihara to keep his insults directed at others to himself he`d get the point. What worries me is the issue of politicians being elected on the strength of their standing as celebrities or “characters”. In London, people voted for Boris Johnson for mayor because of his blond, floppy-haired self-deprecating, Hugh Grant-like image. They ignored his unpleasant, hard right-wing side. Ishihara’s the same: he projects his harmless, blinky, cuddly old man image, coupled with his patriotic spark and his love of tradition in order to hide the nasty truth. I just hope Japan doesn’t fall for it the way Tokyo did. When Ishihara began his little charade to buy those rocks in the sea, I asked two Japanese I know a little better what they think of it. The recurring theme of the answer was along the lines of “Japan has to defend its territory”. There was never even a hint of doubt that these islands are Japanese territory. Even though I could feel my conversation partners quickly becoming defensive, as they always do whenever I do not speak of Japan in the utmost positive way, I said that I was shocked to learn how far right many LDP politicians are. As you can imagine, this made them freak out and they raised their voices, explaining that Ishihara is just “right of center” but not “far right”, and that “Japanese nationalism” has nothing to do with the usual “bad nationalism” you find in other countries. They think it’s all just about looking strong to China. Now, my Japanese isn’t perfect, but the fact alone that any foreigner criticising aspects of Japan should “get out NOW” speaks volumes about the unbelievably fragile self-esteem this nation has. Let the little ball of hate become PM. It would only be a matter of weeks before the mathematical certainty he commits the cardinal sin; embarrass Japan before the international community. Ishihara is out on his ear within a calender year and more than likely his political career over as well. @Colin: Yes, it comes down to the people. Have you taken a good look at them recently? At least 90% just doing give a flying f*ck. The two best words for the mass of them would be “passive” and “selfish.” If Ishihara started attacking “passive, selfish Japanese people,” he might actually get a response, but then again, most people still wouldn’t give a sh*t. One of the most frustrating things about Japan is the way they let a-holes get away with murder. Whether it be the politicians, the bosozoku or the yaks, they let them get away with murder because it’s a culture where people are taught to evade responsibility and to be utterly passive. It’s just the way they’ve been educated and socialized. Listen, the more you know about Japan and the Japanese, the more you realize that guys like Ishihara and Hashimoto are going to play an increasingly large role in public life and there is no force in Japan that can or will stop them. They and their ilk will be just be another group of a_holes who run roughshod over the Japanese public. I keep reading posts like “the people should do something” or “the young people will be different” and I wonder if anyone’s actually paying attention (sorry, Colin, this isn’t directed at you – I mean the typical poster on sites like Japan Today). As China rises and Japan continues to fall, watch for more petulant and regressive politics in Japan. The last thing you can expect them to do is to react rationally to the changes, for instance, by making good political decisions that would increase Japan’s competitiveness. Oh no. Never. They’ll do what the spoiled kid does with his ball when he starts to lose the game: quit the game and take the ball home. Seems like conservative pundits and public media take no rest to propagate a militant discourse of jingoism. The way they set up ideological warfare against the neighbors as well as the community of foreign cultural heritage within the nation is nothing new; it’s no stranger to us. I think the story is getting similar to what Thomas Frank argues about ‘culture war’ in his work. I bet these aphorisms are pretty much straight forward (yes, it’s in his last name) and most of them can be quite applicable to Japan in many ways regarding the characters of conservative forces. What do you think? — I think (I hope) that respondents to this question keep it applicable to Japan. I won’t approve comments that don’t, sorry. Good point. I just find it disheartening when people don`t speak out against public figures (or anyone for that matter)making condescending and xenophobic comments and everyone turns a blind eye to it. Makes me wonder. The experience you describe is actually very common. In my discussions with Japanese, I encountered this a lot. I’d say that the typical Japanese person’s worldview in this regard is based on historical ignorance (“the islands are ours”), deep insecurity (any criticism is interpreted as Japan bashing), and instinctive xenophobia (“leave Japan now”). Put it all together and you cannot help but realize that you are dealing with people who are deeply immature on a spiritual, emotional and intellectual level. I got this feeling strongly when I recently re-skimming Ishihara’s “The Japan That Can Say No.” One doesn’t get the feeling that you are reading the thoughts of someone who’s even able to think in a clear, rational way, let alone the thoughts of someone who’s achieved some kind of emotional maturity. No, with Ishihara and the people he represents, you get the feeling that you’re dealing with a piqued child – someone who’s always reacting to perceived slights, rather than acting from the position of a well-integrated personality. In my experience, after years in the country, I just got so sick of it. More than finding this sort of mentality extremely annoying, I found it incredibly BORING! I finally decided that I wanted to be surrounded by people with whom I could have a decent conversation. So I took my family and I left. And let me tell you: It is incredibly liberating. Now, I can go back and visit and not get emotionally involved. When I encounter the ridiculousness of the Japanese, I just think: Ah, but I’m getting on a plane in a week – who cares? I have had that same experience. It’s incredible. And I’d agree with Eric C about this, too, that it is like having a conversation with someone who cannot think rationally. I think Ishihara’s immaturity is symptomatic of the kind of irrational thought that is tolerated where it should not be. I have had very frustrating conversations that have ended in that love-it-or-leave-it attitude. That is such an oversimplification of the issue and it’s terribly rude. It discounts all feelings and concerns anyone who is not ‘Japanese’ enough might have for the country where he or she lives. My response has been “it’s my country, too” and to challenge those people to come up with some rational reason why my opinions don’t matter. I’ve never heard a good one. I used to have discussions about politics with an ex-boyfriend that would often end that way. It would start out very rational and discuss things and when he got backed into a corner (i.e. forced to talk about something that he couldn’t defend), his reaction was ‘why do you live here?’ and the like. Really? That’s all you can come up with? It’s kind of shocking that there is a mental wall of things-that-must-be-accepted. But for me, these kinds of discussions are that ‘othering’ that comes up on a daily basis for many of us. The how-could-you-know attitude, the idea that there’s no possible way that you understand because you’re not Japanese. And it’s right to the core of rationalism here. I’m reminded of one of the questions I got when defending my research at the best university in this country: with almost the entire department listening to my proposal a professor for whom I once had respect asked “and what does this research have to do with Japan” to which, knowing that there is no rule or precedent preventing any student from doing research on Brazil, I responded “I’m a student at this school” to which there was a long silence as some of this country’s–ostensibly–best minds had to think that through. The only way to get people thinking is to keep talking. Good luck Rubian. I’m on your side. There will be a normalizing of these kinds of discussions. I don’t come on here to be deliberately contrary, and I’m not an apologist for the Japanese establishment (I wouldn’t read Debito if I were), but I sometimes get the feeling that I live in some kind of alternative reality Japan, hidden from many of the posters here. In my discussions with Japanese, (mostly my university students), I’ve never encountered the insecurity, ignorance or xenophobia you describe. Only last week I taught an “English discussion” class on the topic of territorial disputes (the students choose the topics). In a class of eight, the unanimous conclusion was that Japan should give up her exclusive claims to both Takeshima and the Senkakus and offer to share them with Korea and China. Maybe it’s a generational thing. And as for finding Japanese people “boring”, I’d humbly suggest that a person who can’t find a decent conversation in a nation of 120 million people isn’t looking very hard. Tangentially on-topic: Charles Hugh Smith, another of my regular blog visits, often discusses Japan and its demographic and economic problems. Today he considers whether America’s economic future will resemble what Japan has experienced over the past few decades. 9. An immigration policy that restricts the very workforce Japan needs to offset its rapidly aging population. 10. Innovation in Japan has atrophied to specialized techno-gimmicks, materials and biomedical research with unknown commercial applications. Yes, it remains a high-tech research dynamo, but without commercial applications, thousands of patents come to naught. Good to see more people picking up on the National Police Agency’s part in making Japan less immigrant-friendly than it could be. The fact that say you’ve never met a Japanese person who showed insecurity, ignorance or xenophobia immediately renders your comments invalid and worthless. Why? Because these types are extremely common in Japan, as any objective observer will admit. One cannot spend any length of time in Japan without meeting them. Well, that’s not true: You meet them all the time, but you (Joe) don’t know it. Why? Here’s my guess: You don’t speak Japanese well enough to engage them in this sort of conversation (I find it telling that you mention the opinions of your English students). Sure, there’s no way I can be sure and you’ll almost certainly protest that you speak good Japanese, but, frankly Joe, I doubt it. I know a LOT of university English teachers in Japan and very few of them speak halfway decent Japanese. Sure, there are exceptions, but for the most part, a lot of the university English teachers in Japan speak nothing more than survival Japanese. That’s half the reason they’re languishing in English teaching – the guys who speak ripping Japanese are usually in business for themselves or working in Japanese companies. I speak excellent Japanese, and this gave me the ability to talk with “the man on the street.” I would talk to taxi drivers, guys at the sento, guys on hiking trails etc. These guys were strangers and they were often willing to say things to me that close friends wouldn’t. One thing any advanced speaker of Japanese will tell you is this: If you raise this issue with a taxi driver, you’ll encounter insecurity, ignorance and xenophobia in the vast majority of them. Most likely, you don’t speak Japanese well enough to talk politics in Japanese and to engage people on this level, so you go about blissfully unaware of what people really think. As I say, the fact that you say you’ve never encountered these things immediately and definitely disqualifies you as someone who’s opinion is worth hearing on this. It’s like me returning from a trip to the United States and declaring that I met no one there who thinks America is number one. If I were to say such a thing, then my interlocutor would be justified in thinking I’m not a reliable observer. As for basing your conclusions about what Japanese people think on the opinions of the students in your English discussion class, surely even you see how absurd that is. That’s hardly a random sample! And do you really think your students, if they do harbor nationalist views, are going to air them to you? The guy who grades them? The big foreigner? It’s a good thing you don’t do science, because your idea of what constitutes a reliable sample group is woefully off base. Joe, it’s very obvious to me that you are wearing rose-colored spectacles. You simply cannot see (or hear) the negative aspects of Japan. I’m almost entirely certain that you’re able to maintain this artificially positive viewpoint precisely because you are insulated behind a strong language barrier. If you could speak Japanese at a high level, there is simply no way you’d be able to make such risible claims as “I’ve never encountered insecurity, ignorance or xenophobia.” As I say, that statement alone reveals you to be someone who is not ready to run with the big boys on a blog like this. I humbly suggest that you get your language skills up to the level where you can actually have meaningful discussions with Japanese people in Japanese. Then, start talking to guys like taxi drivers and so on. Then, come back to me and tell me with a straight face that you’ve never encountered insecurity, ignorance and xenophobia. If you’re just going to repeat back what your eager-to-please English students told you, then you might find a more receptive audience on some eikaiwa teachers’ site. In short, learn the language, leave your English classroom and start really learning about the place where you live. — I think we’ve just about reached the end of critiques of Joe. I’ll let Joe respond, and after that probably draw this to a close. We’re talking about Ishihara and Japan’s possible political future. Not boring, annoying is more like it. The knee jerk canned reaction to anything percieved as negative about Japan gets old, its one of those microagressions that creep up on you over time. Joe, your class sounds too good to be true. I humbly suggest that they were just being polite and saying what they thought you might like to hear, ie. tatemae. Forgive me if I err on the side of suspicious paranoia at perceived slights; it is what Ishihara’s paranoid Tokyo has made of me. Actually, to be fair, I ve encountered a few classes like that, although never unanimous like yours, but these classes are, by virtue of being in a class with an NJ, more thinking, internationally minded people, and not representative of the 90% of Japanese who do not take English classes. The exception was NOVA, as they had so many students (several hundred thousand)so great a market share, that I think several percent of all Japanese in Tokyo at least must have studied there at one time, and that as a result had its share of “weirdo students”. I ll never forget the woman who made of point of telling all the teachers she “didnt like white people” and then proceeded to tell us why. — We’re getting off track. Masterful writing as always Debito! Don’t be taken in by backhanded comments about how your articles have been ‘improving’. They are always good. What was disheartening to see in the Japan Times, was however, the amount of negative feedback and criticism of your previous article. The sentiments and arguements of the apologists are so similar in tone it struck me that they could be the work of a small number of individuals, an apologist ‘cell’ as it were. Is it possible that Ken Y-N is responsible for, or orchestrating some kind of letter writing campaign to the Japan Times? It smacks of their underhanded tactics and failure to defeat your points on a rational level. In regard to the heavy anti-Chinese sentiment we’re seeing, is it a case of 反中教育? Notice how every disagreement on behalf of the Chinese [plus N. & S. Koreans] is portrayed a direct result of 反日教育. And I’m led to wonder what the hell “Anti-Japanese education” is supposed to mean. As for Ishihara going back to the diet, maybe he needs to clock up a couple more years to get his full bag of ex-diet member pension goodies? Or maybe he’s forgotten that it’s a very different kettle of fish from being a prefectual governor. And who knows, maybe one of his faffs will force him to resign. Bring it on. Debito – A fan is a fan, but Fight Back’s brown nosing is getting to the point where one really has to wonder if it’s not a put-on. Check your hubris at the door and delete these embarrassing posts as it cheapens the debate. Apologies, first of all. I didn’t make myself at all clear. What I should have said is that I haven’t come across ignorance, insecurity or xenophobia in the context of the current territorial disputes. Having said which, I’ve very, very rarely met with the kind of ignorant racism you seem to hear so often. Possibly because I’m not the type of bloke to try and engage a stranger (taxi-driver or otherwise) in a discussion about politics; I’d feel uncomfortable and embarrassed. 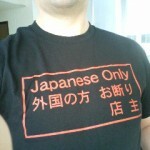 Your “language barrier” theory is interesting and I’m sure applies to some people, but you’ve picked the wrong guy in my case: my Japanese is basically native-level. If it weren’t, I wouldn’t be able to do my job. Nobody at work uses anything but Japanese in e-mails, meetings or casual conversation, I can go for weeks at a time without saying a single word of English. My local city hall employs me to translate their documents for foreigners, I was recently recruited to accompany a group of teachers from Wales on a visit to the area and translate for them. I subscribe to the Asahi Shimbun. — Aaaalright, that’ll do it for this tangent. Thanks for responding logically and calmly, Joe. Yes, I’ve been quite puzzled about this too. But I think that the editors can be blamed for that, because it’s the editors who get to choose the letters that actually get published. I wish they were a bit more balanced though, I find it very hard to believe that Debito is getting only hate mail. I agree its possible that the editors are biasedly selecting negative responses, but that would infer personal animosity against Debito, rather than an ideological position. Don’t forget that, for many people who live outside of Japan, and, even for those of us who reside here, the Japan Times is the main source of news about Japan. It is also trusted and highly well known. I think it’s for this reason that it’s more likely for apologists to want to target it. Especially now that the apologism issue has been picked up by some mainstream media outlets in the US, I think there has been a concerted effort to ‘sway’ readers who perhaps aren’t as fully aware of the situation as those of us who stay up to date with this website are. A ‘strategic’ target if you like. At least, that would be my take on it. What are your thoughts on the establishment of the “Sunrise Party” (geez, what a lame, completely predictable name) and it’s possible manifest—at least the larger issues touched upon at the announcement of the party’s formation? As expected, he pulled some of those zombies that formed the “Gettup Japan” party so we already know where they’re headed, but it’ll be interesting to see what the details of their party’s stance will entail. Anyway, get the earplugs out, looks like election campaigning will start by next week. — Bit busy at the moment to write a whole treatise about a rightist fringe party. I have already commented at length about its bigoted leader, Hiranuma Takeo, so start there. Japans free pass comes to an end? Is nationalism on the rise in Japan? As Japan and China continue to exchange angry words over their competing claims to the Senkaku/Diaoyu Islands, an uninhabited group of islands in the East China Sea, Rupert Wingfield-Hayes finds a growing wave of nationalism in Japan. Blinky does a great job of looking a like a grumpy old git for the BBC. Abe plays ‘Japan; the victim card’. — Thanks very much for this. And I was impressed by Ishihara’s level of English. The rightists really are “bringing it on”. HONG KONG — It’s hard these days to be optimistic about Japan’s economy or have much faith in Japan as the Rising Sun, a global economic power, Asia’s industrial and technological powerhouse, or about any other laudatory epithets, as the country’s political, bureaucratic and economic leaders determinedly squabble in a headlong rush to take the country from economic superpower to over-indebted Third World country. The faltering economy crippled with government debts of 240 percent of GDP, twice those of Greece, and an overvalued yen driving companies offshore and hollowing out industry is bad enough. Tensions with China, Japan’s biggest trading and investment partner, have merely added a damaging downward twist to the economic spiral. But worst of all is what can only be called mindless political shenanigans. Leaders are playing children’s games to try to gain power. The way they are doing it is taking the political debate dangerously far away from reality. This is a tragedy for Japan, but it is also a danger for Asia and for the world. In my previous posting (#10), I argued that Japan’s drastic shift to the right mirrors fast-and furious conservative movements I see in the US since the Bush II era, by drawing from the findings of Thomas Frank, a leading political historian and journalist. I did this– not for the critique of his work, per se, or compare and contrast how Republican conservatives and ultra-rightists are superior/inferior to Japanese counterparts (in terms of maliciousness), or tease out an author’s motives: if the author is just like an American version of Debito for enjoying the critiques of political/media circus with some sort of cynicism and joy (No offense, Debito. But Frank does this in most of his works all the time, as far as I know:)). My answer is simple: The behavior of Japanese nationalists and revisionists are reflecting on most of his key findings (see the list of quotes in #10) of political conservatives in a post-modern era. Subsequent postings-– including a couple of source links provided by JDG and Debito(#26&27, respectively) are persuasive enough to show that culture wars set up by conservatives are not exclusive to a particular nation: it goes all across the borders. Also any writer/essayist/journalist who will miss no opportunity to take swipes at social weakest and critics of Japan. Ishihara advocates a “simulation” of a nuclear-armed Japan as a “deterrent”. I’ve seen some conflicting reports on this already today. Some saying that Blinky called for a simulated nuclear capability, others that he said that Japan should have nuclear weapons in order to be taken seriously internationally, ‘or at the very least, a simulated nuclear capability’. Either way, it doesn’t matter. Public statement of intent to create a ‘simulated’ nuclear deterrent is about as much use as the ‘secret Doomsday Device’ in Dr. Strangelove. So, go for it Blinky! Let’s see if the majority are right behind you, and we can stop all the BS. Apologists on other forums are already behind this, or claiming that Blinky has gone a gaffe too far, since the Japanese ‘are a peace loving nation’. Really? Are they sure? Japan is not a peace loving nation. Let’s be clear, after the Imperial Japanese Army lost a war marked by the sadistic brutality of it’s troops, Japan was forced to surrender, and the Allies imposed a pacifist constitution upon it. The Japanese did not choose that pacifism. In fact, they didn’t even want to surrender. Two calls for surrender before Hiroshima, and one after (which the Japanese did not even acknowledge receipt of) led to the bombing of Nagasaki, and even then the IJA staged a mini-coup, broke into the Imperial Palace, and tried to destroy the two record on which the Emperor had recorded his surrender radio announcement (the Emperor spent 2 hours hiding in a cupboard from Japanese Army officers). I do not believe that the Japanese are any more peace-loving than any other nation. It’s just another myth, like ‘Japan is a safe country’, and ‘Japanese like fresh food’, and ‘Japan is a country of law’, and ‘Japan is a country of one ethnicity’. All lies. Let’s see Blinky explode this one too, as the Japanese reach for the only power they can now aspire to; military power. Perhaps Blinky is just paving the way with the ‘simulated nuclear capability’ routine? Just another step down the slippery slope to actually possessing nuclear weapons. Although many (myself included) believe that Japan already possesses such a capability (kakuheiki tamago) in much the same way that Japan has a Self defense Force, but no army. Some nuclear devices in a bunker, stored separately from the delivery system; after all, this is the age of ‘weapons systems’, a nuclear device without a missile isn’t really a weapon, is it? After all, what are you going to do, throw it really, really hard at China? It’s all semantics and word games, and we know Japan is expert at that. In 2003 I reported to the UK MOD that completion of Japans planned nuclear fuel reprocessing facilities would allow them to produce around 50 weapons of similar power to the Hiroshima bomb per year. It is interesting that even Noda with his 2030/40 nuclear power phase out is committed to the completion of the reprocessing facilities. If anyone is tired of all the armchair general, twelve year old otaku military fetishists analysis on other forums, for a genuine understanding of how war works, I would recommend Alfred F. Duggans excellent ‘How to Make War’. Very good read that should be obligatory for all politicians. Also worthy of note from the same Blinky outburst is the repeated use of the Japanese imperialist word ‘Shina’ for China, and not ‘Chugoku’. He has learned the politics of fear game (a little belatedly) much the same way the Bush and Blair did, but then he goes and repeatedly calls China ‘Shina’! How does he think they will react to that? They will be even more P*ssed off, and then Blinky will turn to the cameras and say something about how ‘Shina’ is a danger to Japan, no doubt. And what’s with all the Tibet references? Is Blinky going to offer asylum to displaced Tibetans? I doubt that somehow. Yet again, the J-media sleep walks through the whole thing and fails to ask any critical questions. Well, at least if Japan becomes a nuclear power, I can tell them to get lost when they give me the ‘Japan is the victim of WW2 because of Hiroshima and Nagasaki’ schtick. — Let’s have a source for the IJA mini-coup. From the report Debito linked to—a TV Asahi webpage put up just minutes after that press conference—I do believe what he said Japan would be taken more seriously if it were a stronger military power, and if possessing nuclear weapons would accomplish this, then it is something that should be explored. As you say, Blinky is pretty much throwing in the towel on returning Japan to the world stage via economics, humanitarian efforts, etc., and instead wants to effect policy through an intimidating posture, both domestically and internationally. More signs that he and his ilk do not have any solutions for Japan’s problems other than building some demented sense of (military) empowerment—kind of the way DeNiro’s Travis Bickle practices saying, “You lookin’ at me?” to the mirror because he’s got a gun hidden in his sleeve. It’s just as we have always said, Japan is more interested in creating and maintaining an image of itself rather than actually wanting to change itself. Blinky is just that part of the iceberg on the surface of the water. What’s hiding beneath is far more worrisome. And given how little coverage his remark (a remark that would have brought out pitchforks and torches if say, Noda said it) has made it to morning and afternoon news shows today, there’s something definitely fishy going on. This next election is going to be a mess. @Jim, good comment except the last, overly optimistic conclusion. Postwar, postmodern illusions are to be clung to, and “Japan as Victim” was one of the first created for Japan Mark 3 when this country was re-branded after WW2. People will just say that Japan NEEDS nuclear weapons BECAUSE it was attacked by nuclear weapons in the past. To deter a future attack. India, for example, has completely ditched Mahatma Ghandi’s ideals, as in a recent poll 85% of the Indians polled backed India’s decision to have nuclear weapons for deterrence reasons, no doubt. Sure! Max Hasting (formerly editor of The Daily Telegraph), ‘Nemesis’ (2007), Harper Press, page 556-557. Nocholas ‘The Days of Negotiation’, P. 603, 1945. And since I’m typing, as for the Japanese nuclear delivery system, what do you think JAXA has been doing all these years? After all, the USAF’s first ICBM was a NASA Gemini conversion. Take a look at JAXA’s Epsilon system (due for roll-out next year). A 2 stage solid fuel rocket that aims to make ‘rocket launches as simple as daily events’, which is, of course, where simplicity is a premium, if they are going to be loaded into tubes and carted round for months at sea, and then launched at short notice from a sub, silo, or plane. I agree with your comments but can you tell me why the jerk is so popular with Japanese voters? Why would a sophisticated city like Tokyo keep re-electing a racist like him? — Read the column. I gave some theories. I notice with no small degree of smugness that Ishihara is disturbing the ‘wa’ of the Japan Restoration Party, by continually making statements contrary to party policy. Since the popularity of both parties has slipped since the merger, both Blinky and Hashi-moron must be choking down their pride so hard behind locked doors to avoid a messy public bust-up. Has anyone else’s stomach been churning every time they have heard ‘sick-note’ Abe prefix a noun with ‘beautiful’? Japan’s ‘beautiful (irradiated?) sea’s’, Japan’s ‘beautiful (concrete covered) country’, etc. N.B. I have been waiting for him to add this prefix to Japanese people, and Japan’s culture; if I have missed those, please give me the heads up. Anyway, I also noted the ‘taking back Japan’ motto of the LDP election campaign, and (stupidly) assumed that the meaning was a rather arrogant, self-entitled, ‘take back Japan (from the DPJ)’, but today it seems that I was proven wrong. Win back Japan NOT ONLY from the DPJ, but to return Japan to the hands of it’s people? What does that mean? If Japan is not ‘in the hands of it’s people’, then whose hands is it in? 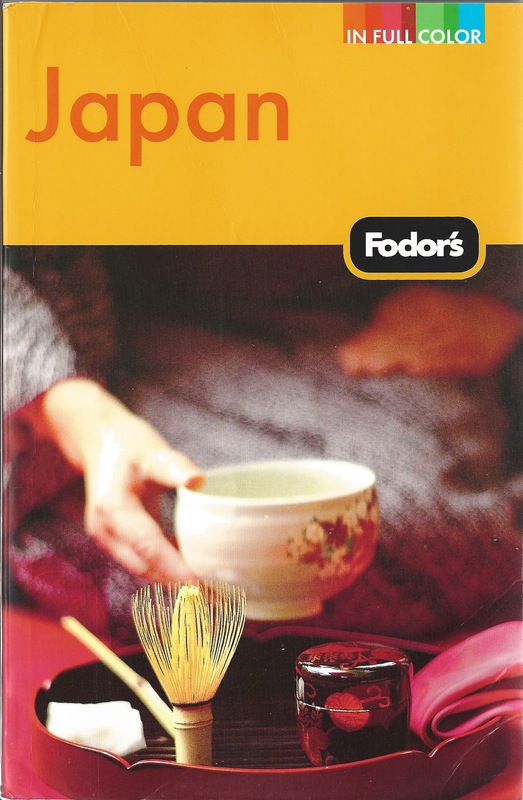 After all, if you are not ‘Japanese’, then you are a ‘gaijin’, right? Is Abe fear-mongering that Japan has been taken over by ‘evil foreigners’? Roll on the election. I’ll play my fiddle while the people let Abe burn it all down. — That’s just pat sloganeering of the “power to the people” found in every election (it makes them look on the side of empowering the electorate, at least for a week or two). However, the record shows even to the least cynical that the LDP has little particular concern with “the people”, more in cronyism for their “own people” featherbedding their nests (as the corruption of the past half-century demonstrates). My favorite statement in the article is Abe’s turning-frown-upside-down logic here: “I am a person who has experienced failure as a politician and it is because I am such a person that I am ready to give everything for Japan.” Yes, one should pick failures because they will give their all. After all, by that logic, successful people haven’t given everything, so pick the failure! Again, the level of political discourse in Japan is curiously undeveloped at times like these. Let’s see if Abe will give the rest of his intestines this time. Sadly, it seems that people will buy (or at least overlook) this crap and wind up voting him back into power. @Debito Your comment in #35 is a good example of the “gobbledygook” statements that Japanese politicians not only seem to get away with, but even impress the Japanese public. This shows how dangerous it is when a whole nation lacks to think critically. Even statements that for us are nothing but comical nonsense, are getting bounced around and second guessed in the echo chamber that is Japan until someone finds some angle to interpret them in a meaningful way. Because nobody dares to think or say that a guy like Abe, on top of this society’s pecking order, might be a complete fool. It is often said that the “Japanese are like children”, which is too broad for me, but the general glorification of, and respect for the “political class”, which despite the fact that people do complain about this or that politician sometimes, strikes me as immature and dangerous. While we NJ have a hard time seeing them as anything else but a bunch of chauvinist, bigot cronies, even young Japanese are not able to see the ulterior motives in their actions and statements. So far, when I told someone back home my opinions on Japan, I have always been defending the younger Japanese, the University students, as being different and able to change this country, but I’m not so sure anynore. I just recently found this “View from the Streets” column on The Japan Times website. The reasoning goes like this: Ishihara “made a big sacrifice” by giving up his position, and therefore the Japanese public “shouldn’t be selfish” and reward the poor old man for his “bold move”. To me, that is in essence how Japan and other East Asian cultures work – if you want something from somebody, you make an alleged “sacrifice”, and it is understood, but never said, that you get something in return. On a small scale, it’s Omiyage, on a national scale, it’s a small action that you know will get blown out of proportion by the media.